During the installation of the NVIDIA Purevideo Decoder software, Windows gives me an error message "'Cannot find layout.bin or disk1". How do I correct this issue? 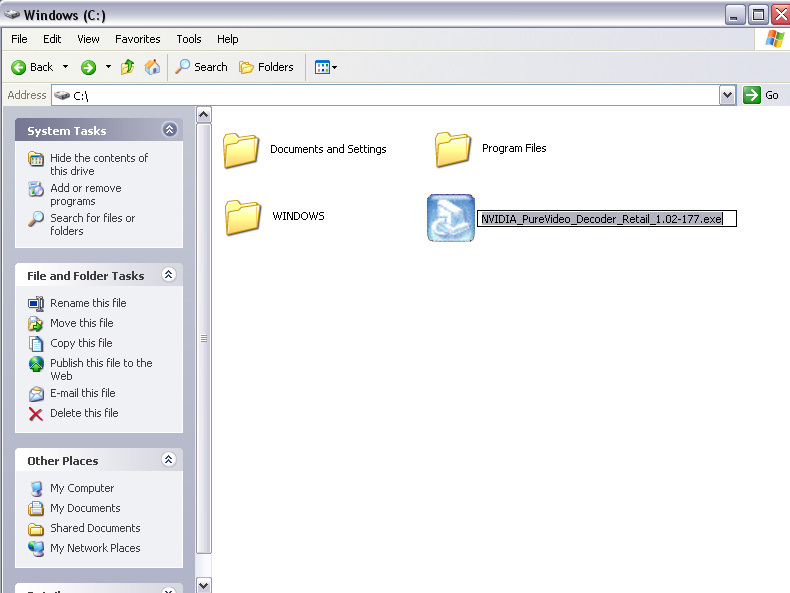 In certain cases, the NVIDIA Purevideo Decoder installation thinks the setup has completed before it really has and starts to do cleanup and deletion of the extracted temporary Purevideo Decoder installation files. 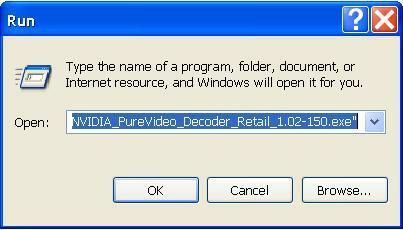 Please remember the location where you downloaded the NVIDIA Purevideo DVD Decoder installation file. For this particular installation, it would be easier to download the file to the root folder on your "C:\" drive. Once you have downloaded the file to your hard drive, browse to your hard drive location where the file is located. You will need to copy the file name by left-clicking over the name with your mouse and pressing the "Control" and "C" buttons on your keyboard at the same time to copy the file name to your memory. 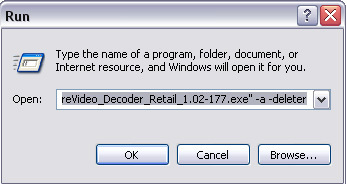 For example, if you downloaded the NVIDIA Purevideo DVD Decoder Retail Software Version 1.02-223, the file name would be "NVIDIA_PureVideo_Decoder_Retail_1.02-223.exe ". 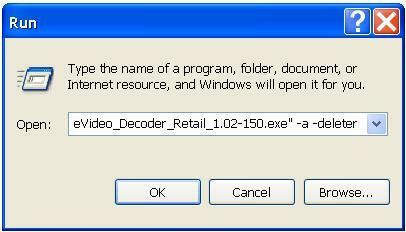 You will need to include quotes before the drive letter and after the .exe of the file name as shown above. The screenshot below shows an example of how it would appear with the above version. Finally, left-click the OK button to continue with the installation. The installation should extract and run without errors.